Clinical management of cardiovascular thrombotic diseases and participation in several international studies in acute coronary syndromes. At Belgian level, CHU de Liège coordinates the European multicenter registry which is in charge to evaluate current practices in terms of diagnosis and management of cardiac toxicity of breast cancer treatments (COT registry: EACVI/HFA Cardiac Oncology Toxicity Registry in Breast Cancer: EURObservational Research Program of the European Society of Cardiology). 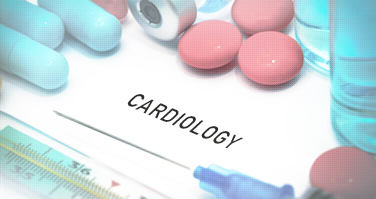 In addition, our team evaluates new cardiac toxicity biomarkers (mRNA, BNP, ST2, Troponine, etc) in breast cancer as well as multi-modality imaging evaluations of cardiovascular complications of radiotherapy in adult. Our team has been working for 10 years on valvular heart disease and highlighted several factors of poor clinical outcome through biomarker assay (BNP, ST2, etc), the use of advanced echocardiographic techniques (study of myocardial deformation, ultrasound effort, etc) and the assessment of functional capacity. A study carried out by the teams at CHU de Liège revealed that recourse to the PET-CT medical imaging method was efficient in detecting aneurysms that are likely to rupture. They are currently exploring if a correlation between PET-CT images and the presence of specific molecules in the samples of aortic wall taken from the areas of high metabolic activity in the aneurysm can be detected. With the collaboration of the Karolinska Institute, the CHU de Liège has launched a systematic screening campaign for abdominal aortic aneurysm, which is funded by Aneurysmal Pathology Foundation (APF). Angiography relies on the introduction of a radio-opaque contrast agent allowing to use X-ray based techniques to visualize the inside of blood vessels (arteries, veins and the heart chambers). Echocardiography creates ultrasound images of heart structures providing information on the heart size and shape (internal chamber size quantification), pumping capacity and the location and extent of any tissue damage. It also gives other estimates of heart function such as a calculation of the cardiac output, ejection fraction, and diastolic function and helps to detect blood clots, fluid buildup and problems with the aorta. ECG is a commonly used, non invasive procedure for recording electrical changes in the heart. It is the basic measurement used in exercise tolerance tests (i.e., stress tests) and symptoms evaluation such as chest pain, shortness of breath, and palpitations. 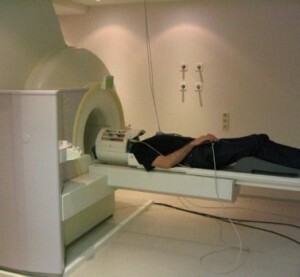 In addition, we also perform signal-averaged electrocardiographies, a computerized technique detecting subtle abnormalities in the surface electrocardiogram. Multiple electric signals from the heart are averaged to remove interference and reveal small variations in the late potentials. 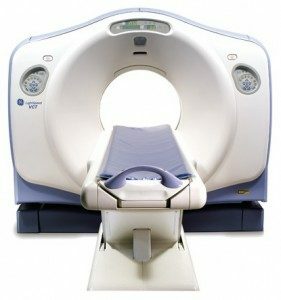 Cardiac magnetic resonance imaging (CMR) is a medical imaging technology for the non-invasive assessment of the function and structure of the cardiovascular system. It is derived from and based on the same basic principles as magnetic resonance imaging (MRI) but with optimization for use in the cardiovascular system. These optimizations are principally in the use of ECG gating and rapid imaging techniques or sequences. Ergospirometry is a diagnostic procedure to continuously measure respiration and gas metabolism during ergometer exercise. It enables judgement of function and performance capacity of the cardiopulmonary system and metabolism while performing quantified physical work.